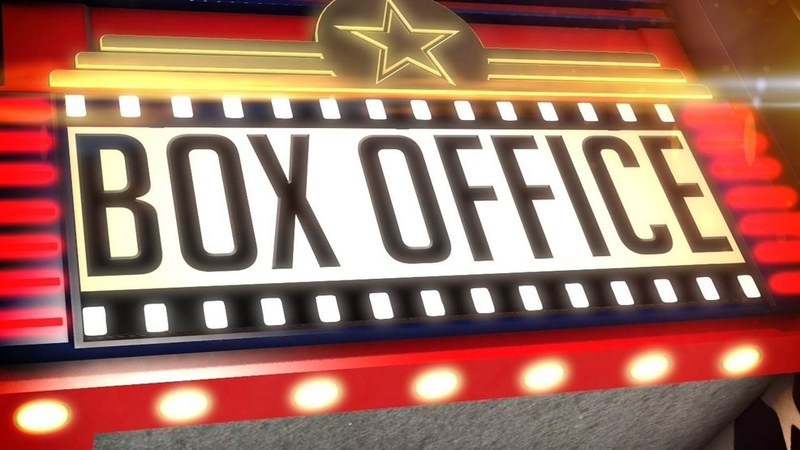 This weekend at the box office, powerhouse holdovers like Halloween, A Star is Born, and Venom managed to continue their trends of having strong repeat business, while this weekend’s new arrivals failed to leave much of an impression. Either way, October 2018 is looking to set a record for the month’s entire history at the box office. For this week’s new arrivals, the only two in the Top Twelve are Gerard Butler’s Hunter Killer (which cost $40M and is shaping up to be a pretty big flop) and Rowan Atkinson’s Johnny English Strikes Again, which struck out domestically (although its overseas performance is likely more than enough to make sure it turns a profit). So with underwhelming competition, that paved the way for last weekend’s trifecta of Halloween, A Star is Born, and Venom to take advantage of the pre-Halloween weekend, which is traditionally slow for theater attendance. Last weekend’s Halloween was predictably the champ the second time around, bolstered by positive reception and a lack of real competition in the horror genre. (Granted, the Suspiria remake has a limited opening next weekend, but it seems likely that the film’s arthouse approach isn’t going to get the same sort of attention that a conventional slasher would.) Continuing off of the previous weekend, A Star is Born once again topped Venom, which goes to show that strong legs can be more important for a movie in the long run than a colossal, record-breaking opening. Goosebumps 2 and The Hate U Give managed to have pretty great holds of a sub-23% drop and a sub-33% drop respectively, which means that both films should probably be in the black soon enough. However, First Man continues not to be the breakout hit that Universal was hoping that it was in spite of positive critical reception, as it looks like it will end its run between $40M and $50M at the current rate. The $59M-budgeted astronaut drama will likely need overseas theaters to break even, with the film yet to open in Italy, Germany, Mexico, Columbia, and Japan. Halloween (Universal Pictures/Blumhouse Productions) – $32.045M Weekend/$126.698M Total; 58% Drop. A Star is Born (Warner Bros.) – $14.145M Weekend/$148.722M Total; 25.8% Drop. Venom (Sony Pictures) – $10.8M Weekend/$187.282M Total; 40.1% Drop. Goosebumps 2: Haunted Halloween (Sony Pictures) – $7.5M Weekend/$38.348M Total; 22.8% Drop. Hunter Killer (Lionsgate Films/Summit Entertainment) – $6.65M Total. The Hate U Give (20th Century Fox/Fox 2000 Pictures) – $5.1M Weekend/$18.3M Total; 32.9% Drop. First Man (Universal Pictures) – $4.935M Weekend/$37.88M Total; 40.7% Drop. Smallfoot (Warner Bros./Warner Animation Group) – $4.75M Weekend/$72.591M Total; 27.8% Drop. Night School (Universal Pictures) – $3.255M Weekend/$71.451M Total; 33.5% Drop. Mid90s (A24) – $3M Weekend/$3.35M Total; 1,062.1% Rise. The Old Man and the Gun (20th Century Fox/Fox Searchlight Pictures) – $1.8M Weekend/$7.214M Total; 15.7% Drop. Johnny English Strikes Again (Universal Pictures) – $1.626M Total. Venom, A Star is Born, and Halloween are now playing in theaters.